Hotchkis Sport Suspension lower trailing arms for your GM F or G-Body improve traction reduce wheel hop and improve handling and stability. 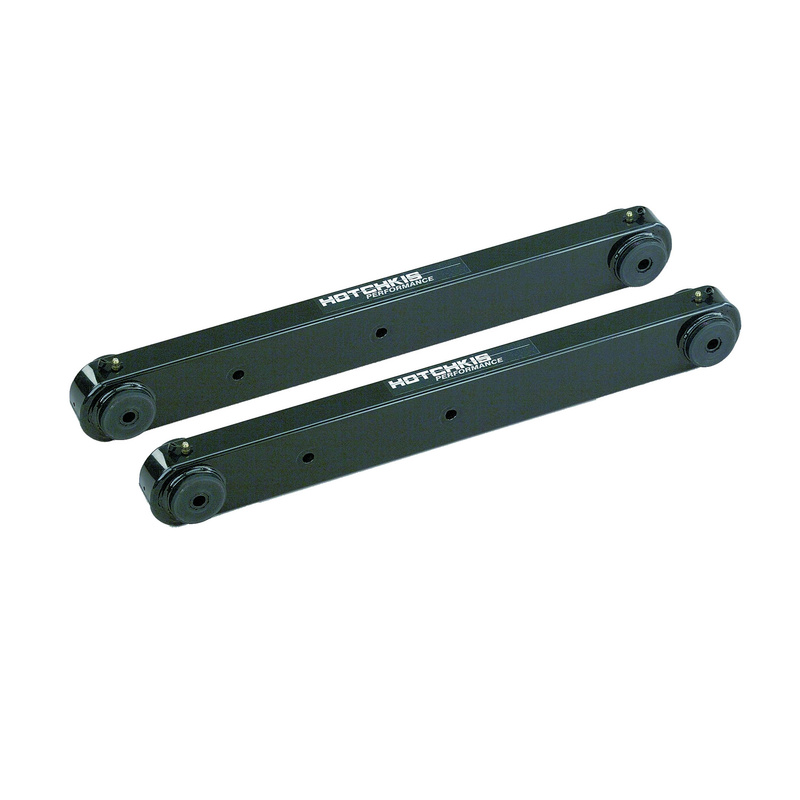 Designed as direct replacements for weak stock trailing arms Hotchkis fabricated trailing arms are constructed from one piece of .120 in. wall TIG-welded steel tubing making them the strongest in the industry and include greasable polyurethane bushings. This item is a must for any high horsepower Grand National El Camino Cutlass Camaro or other A-Body models. Specs: Length 19.5 in. Hardware sold separately.